Because of RTX prices, it's all a marketing plan to get rid of old stock and most likely either see a price decrease in RTX or simply milk us double time! ****ers. Jules Mark, Jo3yization, Nightfire and 4 others like this. I wish I could blame Nvidia for the pricing of the RTX series but they are just doing what any good publicly held company does, and that is maximise the profits of a product they know has minimal competition. If AMD's graphics division wasn't such a mess than this would all be fine. Literally the only way the GPU market can improve is if Intel or AMD deliver stiff competition. Pray be it sooner rather than later. Linux7055, Twizted and poohbear like this. I can't imaging NVIDIA leaving the sub-$350 market completely in AMD's hands, so I imagine we'll see new lower end GPUs soon. Seeing 1070's all over for $300. Nvidia's launch pricing for the RTX cards has been monumentally disappointing, anyone who gave those cards a super great score forfeits disclosure of their buyout, making their review worthless, and more importantly flagging their site as a fraud. The RTX 2080 should cost $500, the 2070 should cost $400, and the 2060 $350. I wish I could blame Nvidia for the pricing of the RTX series but they are just doing what any good publicly held company does, and that is maximize the profits of a product they know has minimal competition. Pricing a $500 GPU at $750 is abusing their position and its backfired on them. I hope that market will be soon lost to AMDs 7nm rx580/590 shrink. Since nVidias $350 RTX2060 has only 6GB of VRAM, 2050 will have to have less or equal. Can You imagine someone choosing 4GB GT2050, with no RayTracing and weak DSSL (if any), over AMD's shrunk 8GB RX580 (+25% clocks from 7nm transition - that 1070 territory)? Since 580 costs $150, how much more can 7nm cost? I know, I know, 590 costs $280, but AMD always puts pricing agressively, only to drop it some time after release, often with rebrand, while nVidia keeps them more or less straight until phase out. Hopefully the end of 2019 will be better in terms of competition in both cpu and the also long awaited high end and enthusiast gpu markets. Dispite people hating on nvidia over pricing. its not their fault ppl are willingly buying their cards. people can simply not buy them or wait. 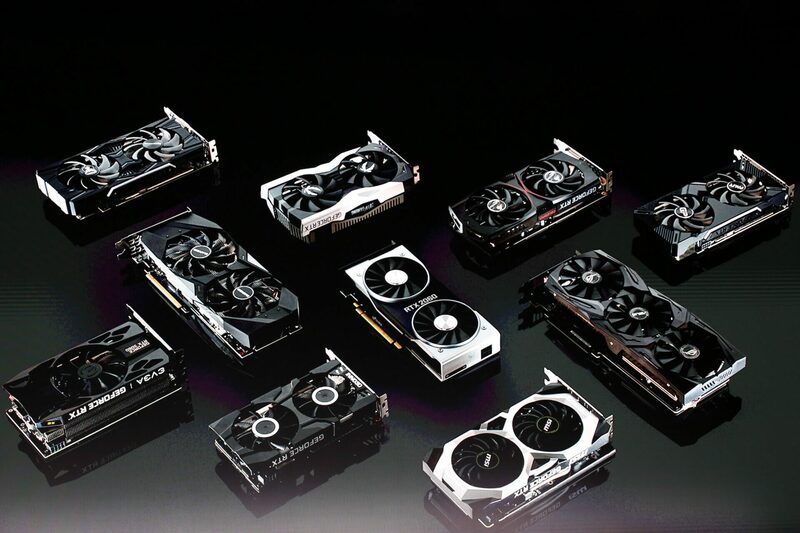 most know that nvidia make the best cards hands down which is why ppl buy them in the first place. maybe ppl should be yelling at AMD to step up their game n offer some competition for a change. Stop crying about what nvidia are doing n get on AMD for not doing enough. Intel is still a year or 2 from entering the gpu market but I highly doubt they will take on nvidia the first go around but if they do make headway, it just will show the AMD may be done for in the gpu market. its now or never for AMD in the gpu market and they dont even understand whats happening. High price on RTX20 Series - go for it - lots of NOS inventory to clear. I expect healthy 'discounts' together with GTX11s to appear. It should be fun as AMD might have almost reached 'competitive'....at least competitive enough. 'Watch this space' (Techspot) for developments. Exactly Vulcan. And quite honestly, the pricing isn't bad right now. An overclocked model 2080 can be had for around 650 if you catch a good sale (as I did), and it's enough to 4k game. That's not a bad deal considering the upcoming 7nm AMD GPU will not outperform a 2080, won't have RT or DLSS, and will be priced at $700. Those complaining may want to look into gaming consoles. As a business, they should have anticipated this. And prepared properly. Edit: oh wait, they are making the consumers pay for it. Yea, because it's totally our fault. I hope that market will be soon lost to AMDs 7nm rx580/590 shrink. I don't know when we'll see AMD's 7nm mid range (probably this year, but may be late this year), and it should be more than a simple shrink anyway. Anyway, the thing is, even without a shrink, NVIDIA needs something really good in the low end market. As Steve showed, the RX 570 is killing the 1050 Ti (though probably NVIDIA fans will continue to buy the lesser card). If NVIDIA continues with is price hikes, the 2050 will be $250+, which will hardly solve that problem. As you say, AMD can always drop prices. Even if Navi doesn't come soon, AMD can always introduce new cards based on the RX 590, with RX 580 or RX 570-like performance, but with lower power. I wonder how long before this becomes a pure monopoly for nVidia anyways due to the complexity of these chips increasing? How long before AMD just can't keep up for example? I see a bunch of kids in a candy store screaming about prices. I have a GTX 660 and should I find need in a faster card. I will find the money to get one. my first thought was also that CEO Huang isn't big on personal responsibility. "When asked, "Can you tell us more about your problem with excess inventory and how that will be resolved?" Huang reiterated that the overstock problem is a direct result of cryptocurrency,...…"
no, it's the direct result of the decisions of Nvidia, I don't expect them to have a crystal ball so then then it becomes .. we (Nvidia) made a mistake. "Very soon, ensnared customers" EVIL LAUGH "our 10XX series cards will be gone and you all will be forced to pay the ridiculously high prices we want for our new cards." EVEN LONGER EVIL LAUGH. My bet is the meaning of "personal responsibility" to Huang is "make as much money for the company as is humanly possible by any means necessary." I am not sure if it's as simple as that. Let's ask this question to ourselves: did the market support AMD when they were actually competitive? Did AMD sell enough products even when Nvidia cards were clearly inferior? I don't think so. Jules Mark, Wessell Urdata and Evernessince like this. Why don't you think so? Radeon HD 4000 and 5000 series sold like hot cakes and made major inroads in market share as Nvidia faltered with Fermi. The 6000/7000/RX 200 series was also successful although not as outstanding as it's predecessors. Since then it's hardly been Nvidia's fault AMD have not been delivering particularly great parts. HD 8000 was a rebadge. Higher end RX 300 used too much power and also had loads of rebadged parts. RX 400 was fairly weak barring 480, which was not better than GTX1060. Vega was DOA. Radeon 7 looks as good as DOA. It's been a very long time since AMD delivered an outstanding GPU arch. It's a good thing AMD isn't playing that game. People want AMD to put out a product so they can buy an Nvidia product at a lower price. AMD's had better graphics cards in the past and people bought Nvidia anyways. AMD needs to make money, not incentivize people to buy Nvidia cards. And I doubt Navi will reach the high end. Not that it changes anything. 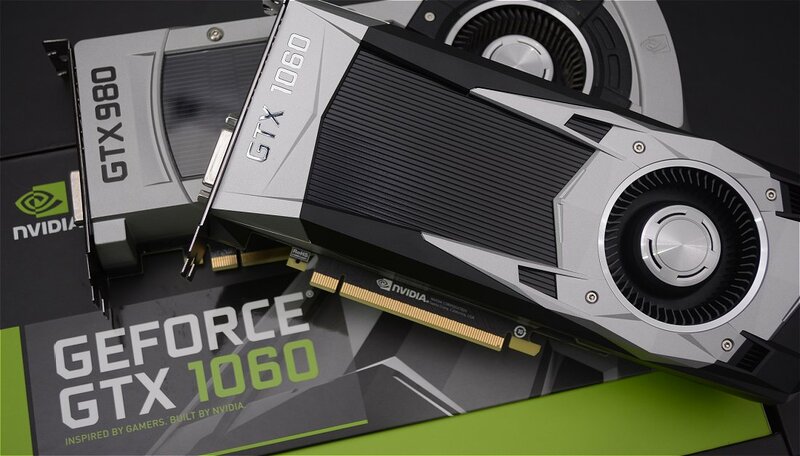 Enthusiasts would have purchased the top end Nvidia card either way. The Vega VII is just a rebranded professional card and given the limited quantity it'll sell out quickly either to those who need a compute monster like that or gamers. Yes, a company's goal is to make as much money as possible but it has a moral obligation to do so cordially. Many Americans seems to forget that it is we the people who protect their copyright and we the people who provide the skilled labor and infrastructure that they build their business off of. Nvidia exists because their R&D is protected and they turn around and bite the hand that feeds them. I'm tired of a government that capitulates to corporate wishes despite holding all the cards. Lol a 660? Boy running the first Modern Warfare at 60fps on your 22in monitor must be a blast!! I couldn't even tell you the genre that game is. If I was to guess. I would say FPS, which I despise. on your 22in monitor must be a blast!! It is two 20 inch screens. And yes I can still have a blast on a 20 inch monitor. I would likely enjoy a larger screen. But I'm not entitled to the point of thinking, I can badger a company into loosing profits. Boy, thank god I'm not a gamer and I don't need "real" graphics cards. I bought my 750 ti for $99.00 and my 1050 ti for $140.00. Well, and then there was the 1030 for $66.00. I'm not sure I should admit to owning that here though. To the upside, it is an "over clocked" model, with a real fancy fan housing. .
Hm, maybe if I put all three of them to mining, I could recoup $10,00 on every $50,00 of electricity they would use..